Boot and Shoemaker, a photo by Craig.Vitter on Flickr. 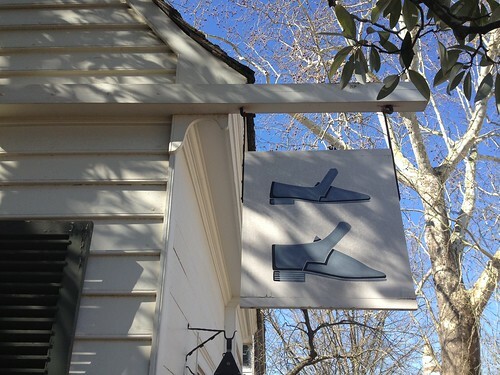 Sign for the Boot and Shoemaker shop on East Duke of Gloucester Street in Colonial Williamsburg. I was taken both by the graphic design of the sign and the color of the shoes that quite nearly matched the sky. 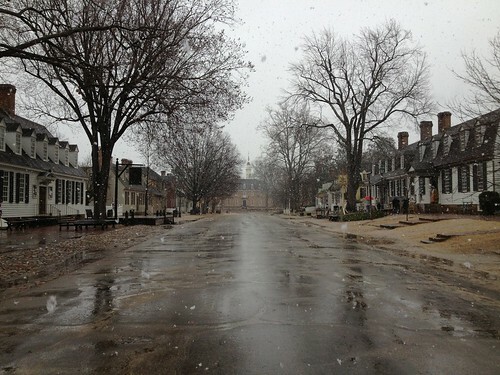 Looking east towards the old Capitol building on East Duke of Gloucester Street as large flakes of snow fall. 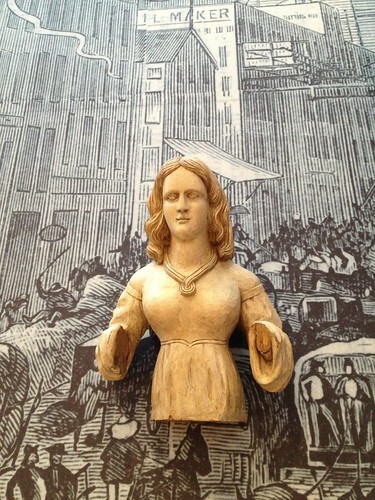 Folk Art Museum in Williamsburg, VA today with the family and was absolutely floored by the collection. I am normally not a big fan of folk art but in this case the collection of works combined with the presentation of the works was really impressive. 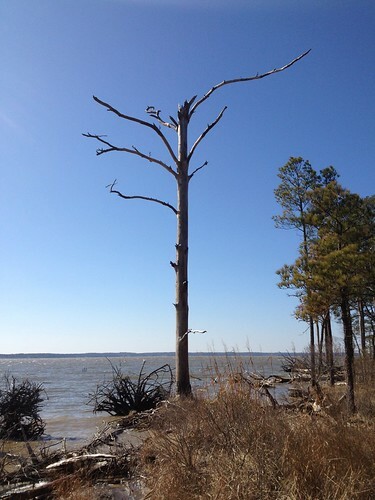 Here is an example of a Marine Carving from the Sidewalks to Rooftops: Outdoor Folk Art gallery.